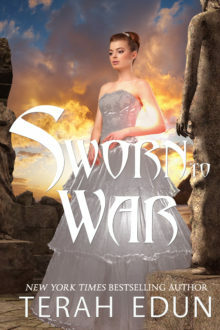 Ciardis Weathervane is facing a war on two fronts. One with the dragons. One with the deities. She is ready to face the god that they’ve known was coming for months, but the people that she thought would coalesce around her are faltering under the pressure, the lies, and the deceit. She knows that the very foundation between ruler, nobility, and commoner had fractured down to its core. Now the capital city and its people need to be reforged, bound in fire before they’re consumed by brimstone. But the citizens of the empire need more than a speech to believe in the rulers that betrayed them just days before. With their empire on the line, Sebastian lays out his first ruling edict which may be more than even he bargained for. As Sandrin comes together once more before the final struggle, the daemoni prince is struck down and the princess heir-in-waiting has doubts as to whether they can forge a more perfect union without the one that completes their souls. With Thanar trapped in purgatory while they fight to resurrect the city that gave them life—Ciardis and Sebastian are in a battle to the death against a god bent on living forever.